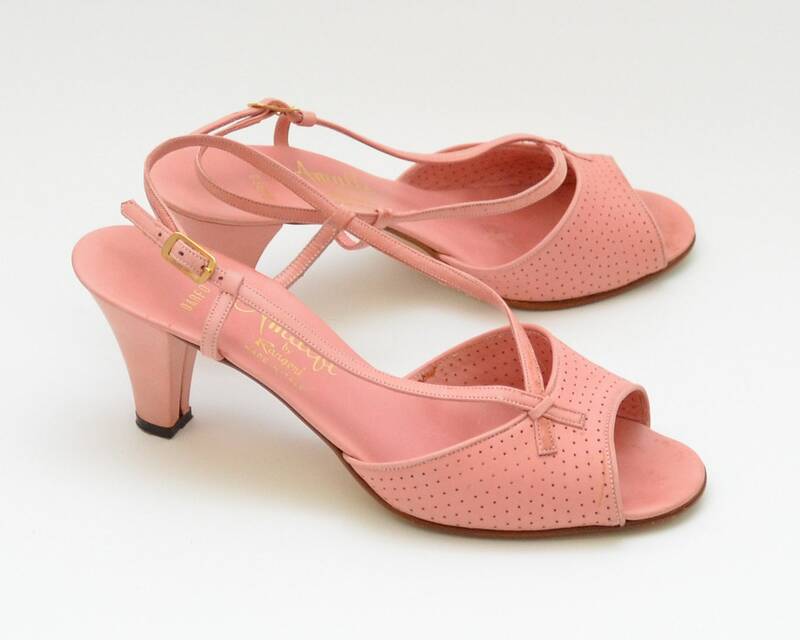 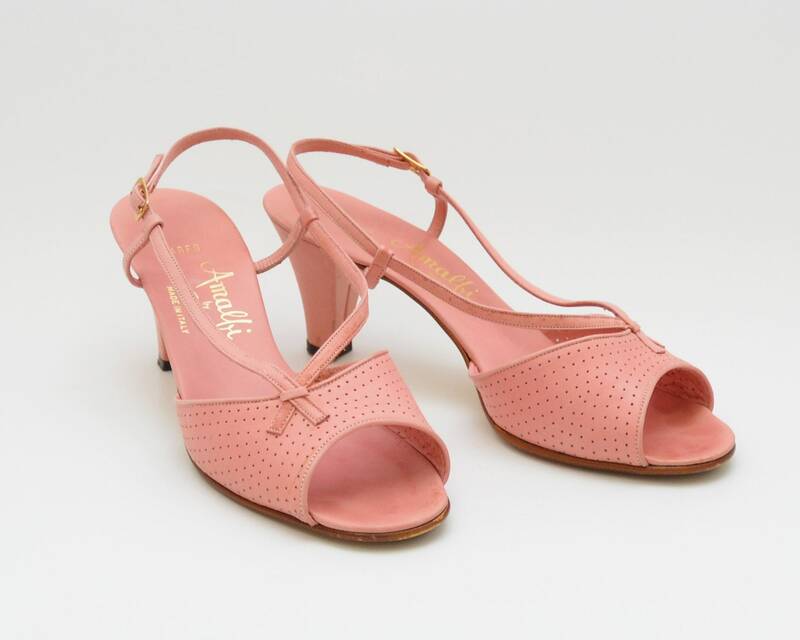 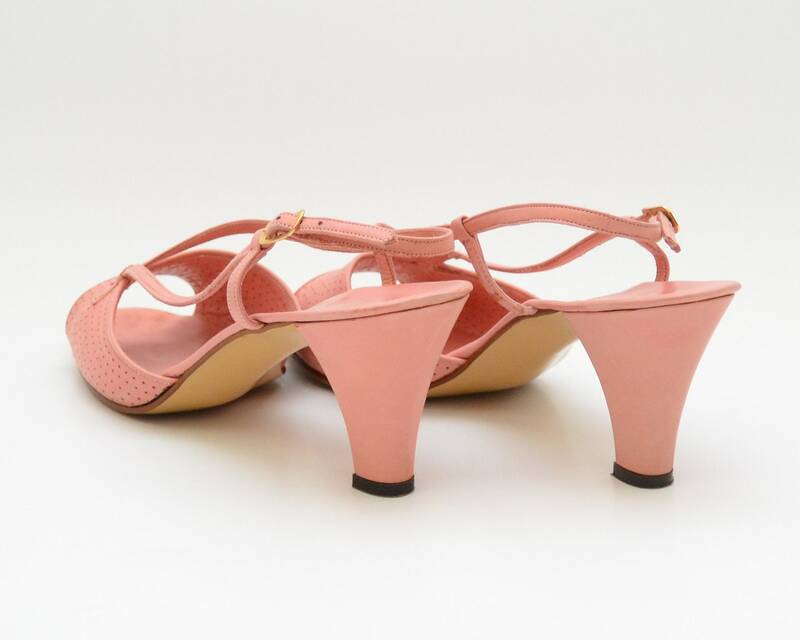 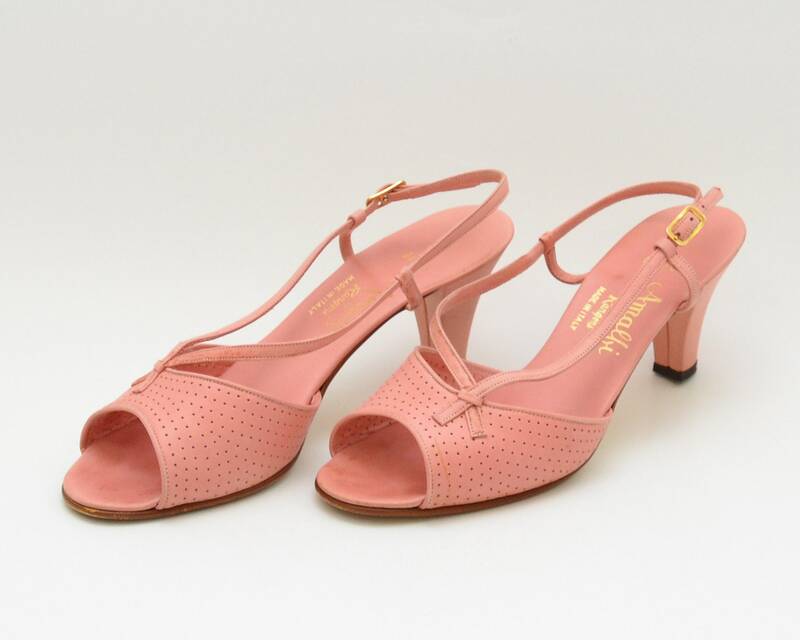 A darling pair of pink sling back shoes from the 1950s. 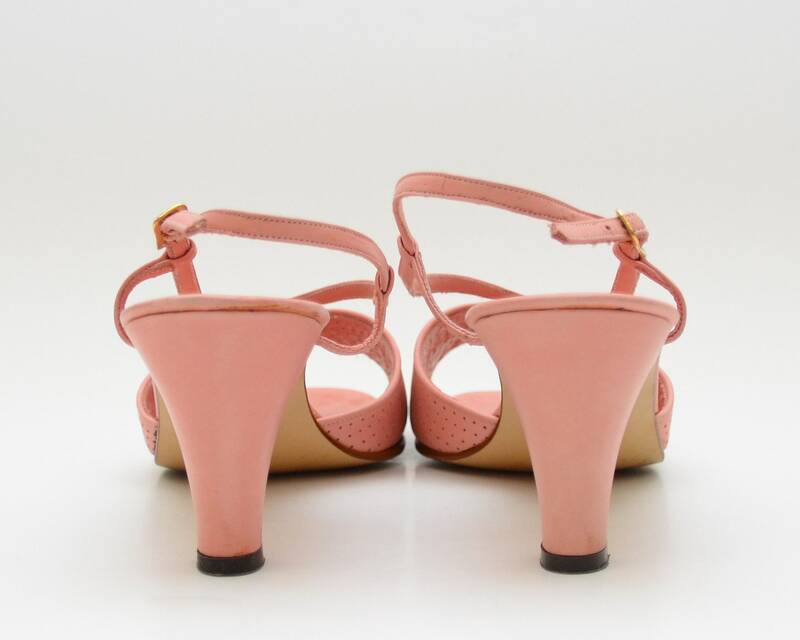 In excellent condition with the only noted flaw being slight discoloration on some areas of the leather, mostly on the straps. 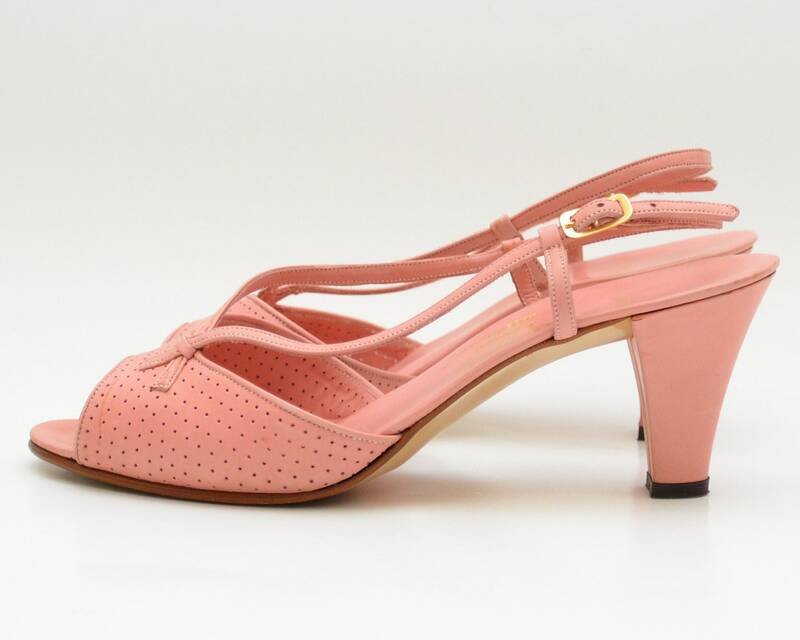 Noticeable when inspected closely. 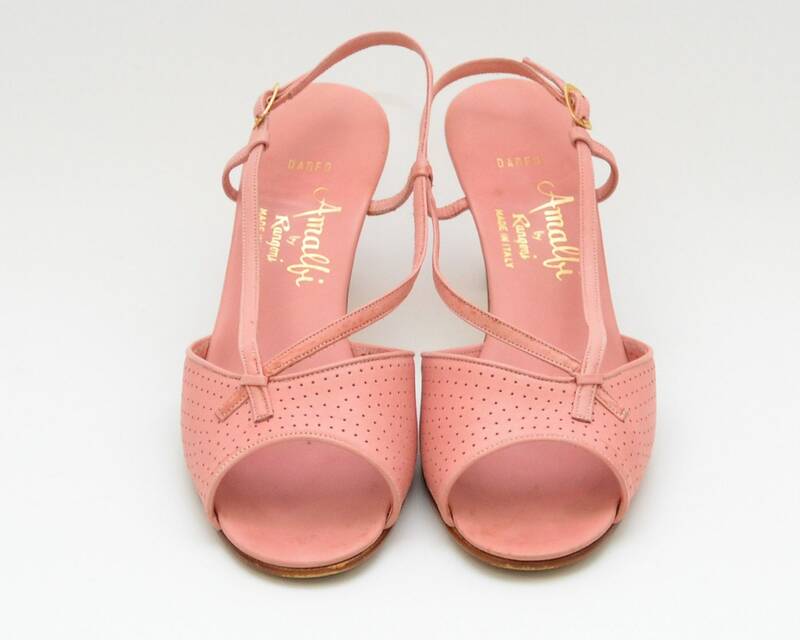 Soles show light to moderate use.